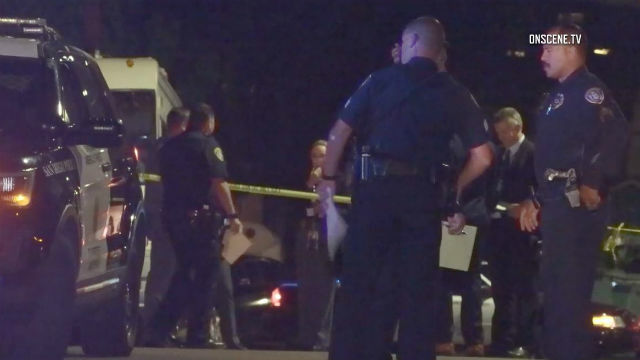 A homicide investigation was underway Tuesday after a 17-year-old boy died in a Coronado hospital more than five miles from where he was believed to have been shot in a neighborhood just south of Mount Hope Cemetery in the Mountain View area of San Diego, police said. It’s unknown what time Rosas-Sanchez sustained the fatal injury, but officers from the San Diego Police Department were notified by Coronado police shortly after 7:30 p.m. that a victim was taken to Sharp Coronado Hospital with a gunshot wound to his upper body, SDPD homicide Lt. Anthony Dupree said. Doctors attempted to save Rosas-Sanchez’s life, but he died at the hospital. Police detained and questioned the victim’s two male companions who took him to the hospital, Dupree told reporters at the scene. It was unclear if they were suspects in the slaying, but they told detectives the shooting happened in Mountain View. Anyone with information about the slaying was urged to call the SDPD homicide unit at (619) 531-2293, or the San Diego County Crime Stoppers’ anonymous tip line at (888) 580-8477.